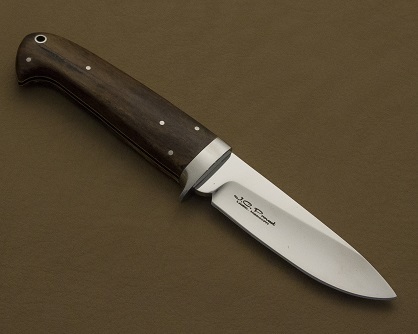 CPM154 4" hunting knife, Cryo quench, 416 ss fittings, taper tang with original Lignum Vitae handle. Custom sheath. Engraving by Jared Eason with 24k gold inlay. CPM 154CM 4" Tactical knife with Camo G10 handle. CPM154 4" hunting knife, Cryo quench, 416 ss fittings, taper tang with stabilized orange box elder burl handle. 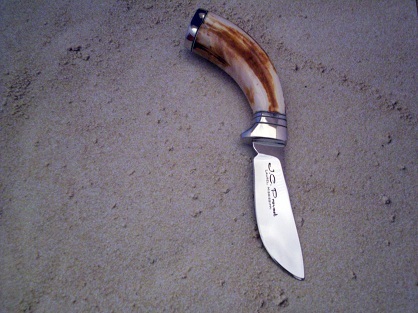 Custom sheath. 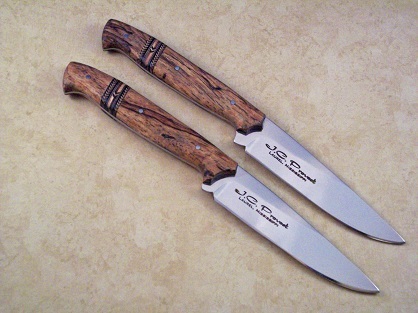 CPM 154CM One small knives with spalted pecan handle. Custom sheath. 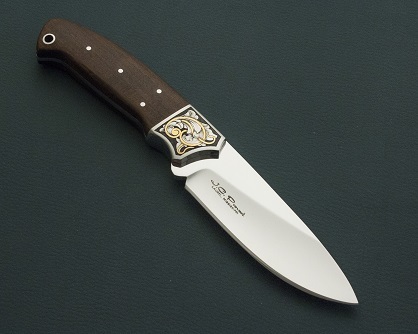 CPM154 3-1/2" drop point knife, Cryo quench, 416 ss fittings, taper tang with stabilized CA buckeye burl handle with inlay. Custom sheath. 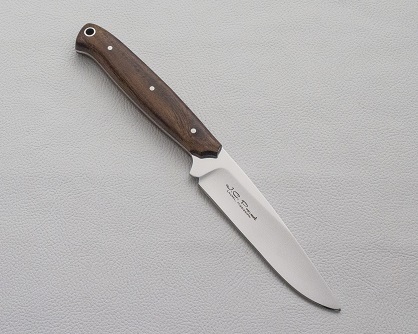 CPM 154CM Skinner with warthog tusc handle. Custom sheath. 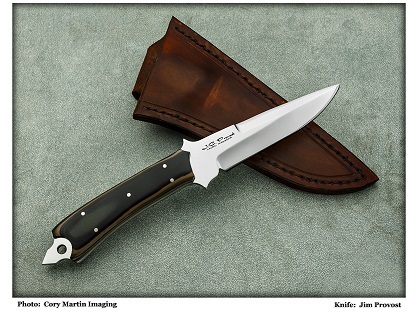 CPM 154CM 4" small drop point knife, cryo quench, and taper tang with ironwood handle. Custom sheath. 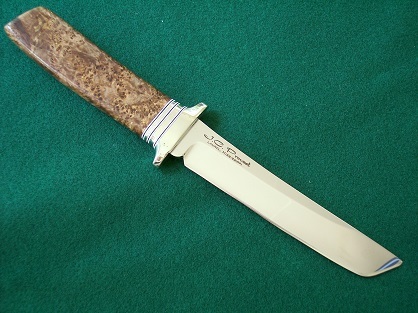 CPM 154CM 4" Hunter with stag handle. 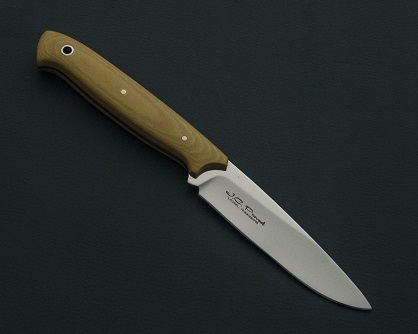 Available at Smith & Sons Knives. 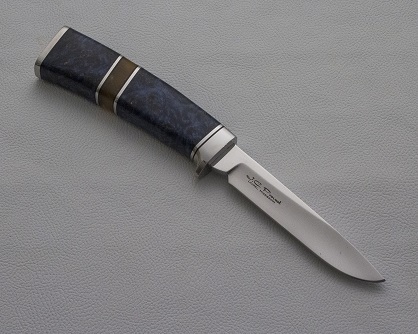 CPM 154 5-1/2" drop point, Cryo quench, taper tang, 416ss guard with black G10 handle. 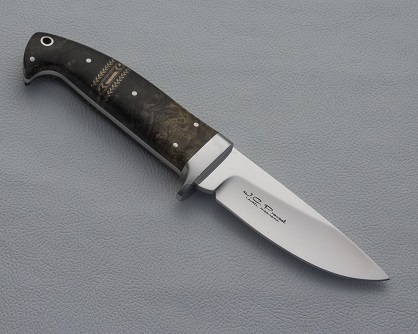 CPM 154 3-1/2" drop point, Cryo quench, taper tang, 416ss guard, with stabilized CA buckeye burl handle with inlay. Custom sheath. 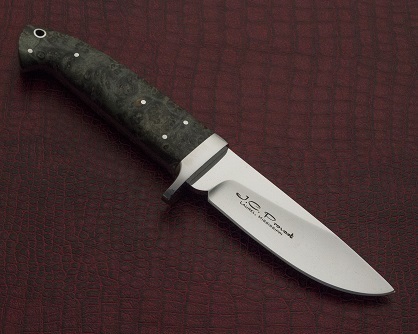 CPM 154 4" drop point, Cryo quench, taper tang, 416ss guard, with stabilized green box elder burl handle. Custom sheath. 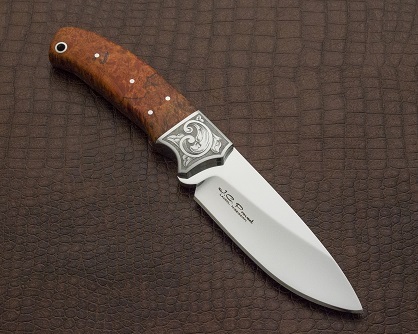 CPM 154 4" drop point, Cryo quench, hidden tang, 416ss fittings, with stabilized blue box elder burl with synthetic amber spacer handle. Custom sheath. 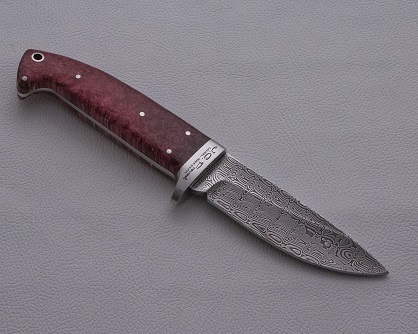 Damasteel ladder 3-1/2" drop point, Cryo quench, taper tang, 416ss guard, with stabilized red box elder burl handle. Custom sheath. 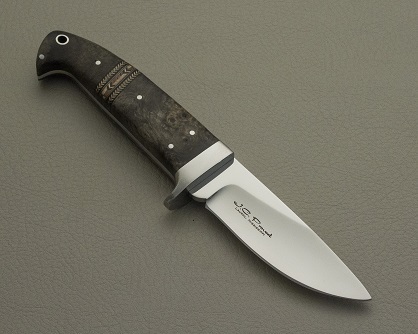 CPM154 4" drop point, Cryo quench, hidden tang, 416ss guard with brown white bone handle. 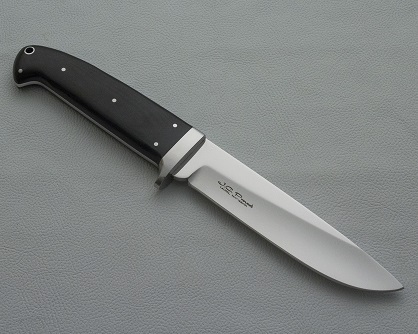 CPM 154CM Tanto knife with stabilized black ash handle. 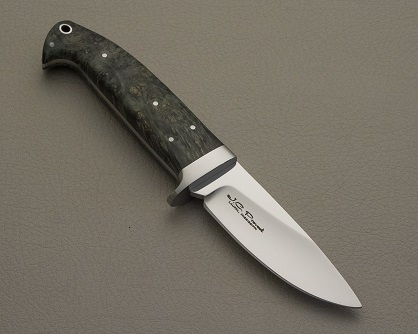 CPM154 3-1/2" drop point knife, Cryo quench, 416 ss fittings, taper tang with stabilized green box elder burl handle. Custom sheath. 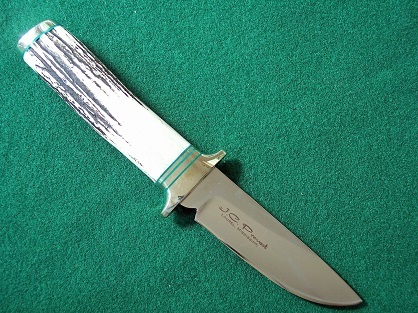 CPM 154 3-3/4" small drop point, cryo quence, taper tang, with white micarta handle. Custom sheath.